Want to feel what it’s like to be in NBA superstar Stephen Curry’s shoes? 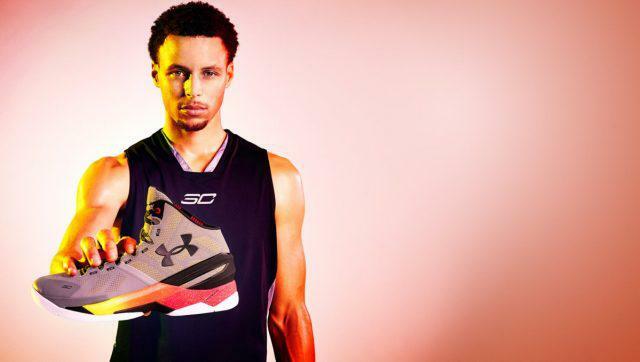 Now you can with Under Armour’s Curry Two! This basketball shoe is the first in the market to feature a full-length Charged Cushioning midsole unit and a UA SpeedForm seamless upper guaranteeing breathable comfort and durable support to up one’s game. The precision fit of UA SpeedForm technology and adaptive responsive nature of Charged Cushioning optimizes provides the player free range of motion and strategic stability so he can stop and go, cut, and change speed without restrictions. Moreover, this looker features external heel counter locks, rubber outsole, high abrasion skin, and external shanks all making for a footwear with real innovation that works.